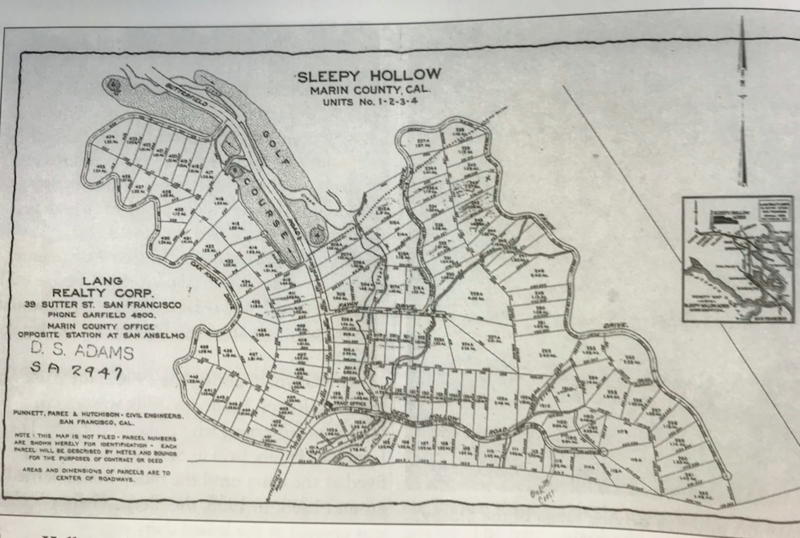 In the beginning, Sleepy Hollow was a river bed. 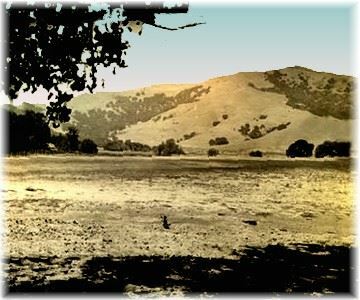 The fertile valley attracted the first inhabitants, the Miwok Indians. As proof of their stay, many artifacts have been found: A shell mound, arrow heads and grinding stones. This era closed with the "white man" and epidemics of measles, mumps, smallpox and other diseases. The first recorded history of the Hollow is from 1839. A Mexican land grant was given to Domingo Sais, a soldier at the Presidio is San Francisco. His land consisted of 6,659 acres, including part of San Anselmo, Fairfax, and Sleepy Hollow. Legend has it that in 1836 Domingo left the Presidio on a raft and traveled with the tide or drift until he was able to land at what is now Point San Quentin. Traveling as far as San Anselmo, he built his first house of rushes. Domingo called his grant "Canada de herrera" or "Valley of the Blacksmiths". 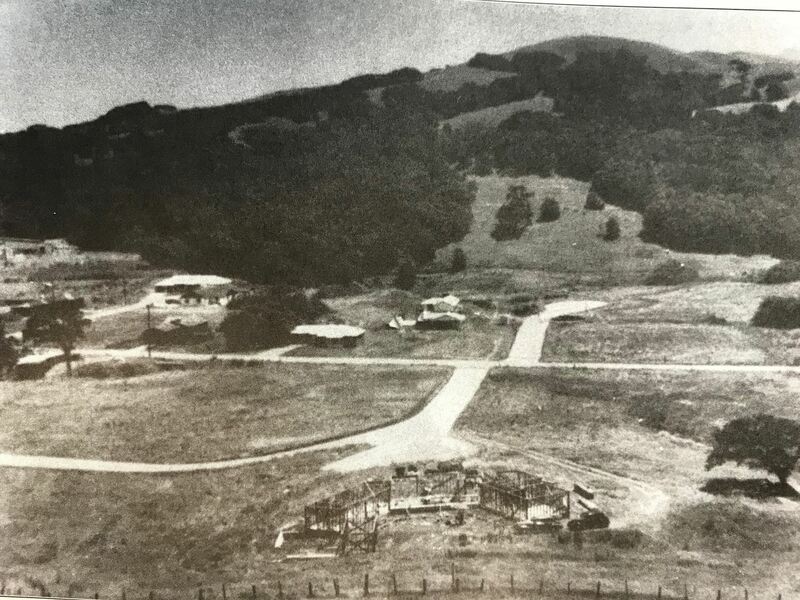 It had huge stands of oak trees, which for several years were cut and shipped by schooner from Ross Landing to San Francisco or to the saw mill near Lagunitas. Domingo Sias died in 1853 leaving his land to his widow and six children. Sleepy Hollow went to his oldest son Pedro. 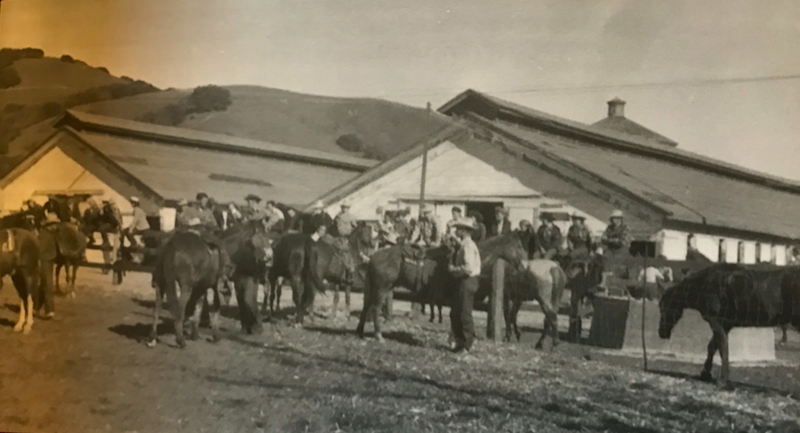 Harvey Butterfield leased the property from Pedro for a dairy farm and it was fenced for the first time. Cowboys referred to the dirt road leading to the ranch house as "The Road to Butterfield's place." Thus the birth of Butterfield Road. Pedro Sais died in 1879 and the land was sold to Peter Austin for $16,000. 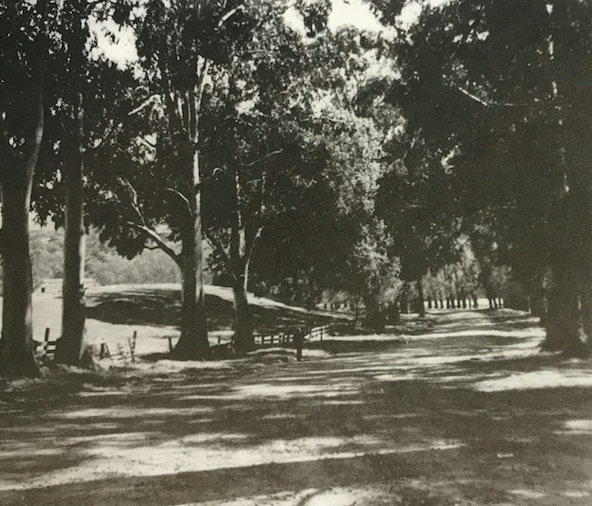 Austin planted the first eucalyptus and poplar trees for shade along Butterfield road. He planned a million dollar hotel, a mile-long lake and golf course, but was forced out by a mortgage foreclosure. Anson P. Hotaling bought the land in 1887. A wealthy San Franciscan, his son Richard developed a beautiful estate and called it Sleepy Hollow. Building a mansion at the end of Butterfield Road reflected his love for the theater. The living room had a stage complete with a Romeo and Juliet balcony. Many plays and Bohemian parties were held there. 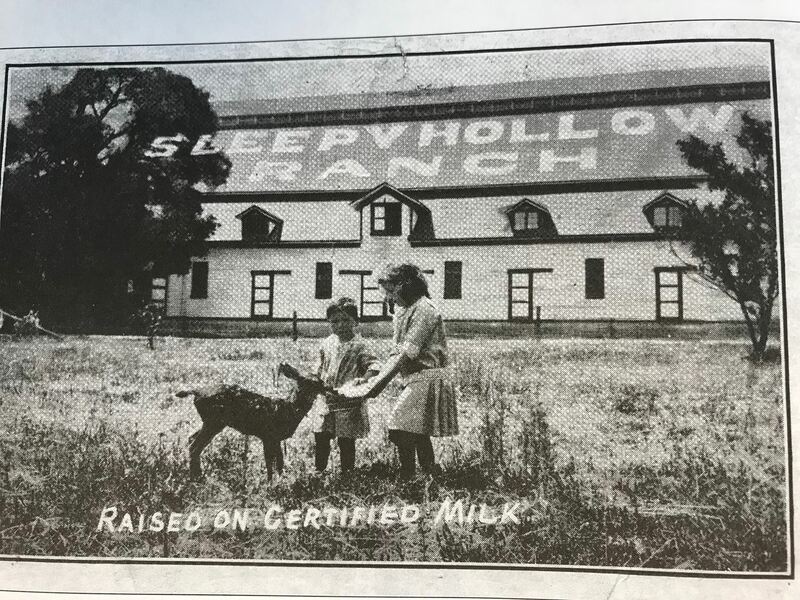 Hotaling also imported 200 Holstein cows from Holland and carried out the Washington Irving theme by naming prize bulls after the names in the Legend of Sleepy Hollow. After living in his mansion for four years, he tired of the dairy business and moved back to San Francisco, leasing his 1600 acres to Sigmund Herzog. Herzog founded, in 1910, the first certified milk dairy in the United States. In 1925, a Chicago syndicate bought the land from Herzog. With the depression and stock market crash, plans by the syndicate for development ended and they sold the land. George Kaenel and H.A. Willard bought the land in about 1930 and installed an 18-hole, 8,000 yard golf course, the first pay-as-you- play golf course in the West. It was considered the second largest course in the world and acclaimed by famous players for its natural hazards and boundless beauty. Lang Realty and David Adams bought some acreage in 1932 and subdivided the parcel into one-half and ten-acre plots. 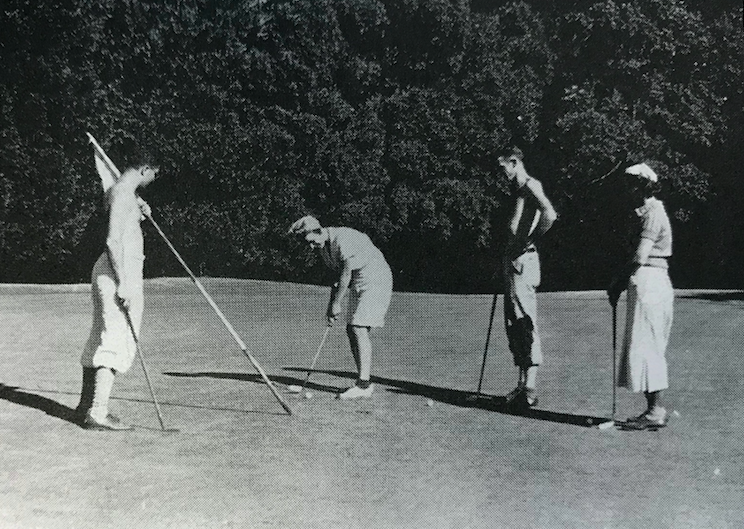 In 1939 the golf course closed due to lack of water. For a time during World War II, the U.S. Army occupied part of the Hollow as a secret ammunition storage depot. Barracks housed 30 men. There were two batteries composed of four inch antiaircraft cannon manned by five soldiers on a 24 hour basis. One battery was on Stuyvesant Drive and the other on Oak Springs Hill. At war's end, the Army departed. A.G. Raisch bought 500 acres and the Hotaling mansion for $50,000 around 1946. Raisch modernized the house and added gardens and barbecue areas. An artificial lake was created. Fifty head of cattle grazed the property. Gala parties of at least 600 people enjoyed the dance pavilion with roast steer for dinner and martinis made in a cement mixer. In the early fifties, the Raischs moved to San Francisco. While the mansion was unoccupied it burned to the ground, leaving only a concrete wall and steps, visible today. The Dominican Order of the Catholic Church then purchased the property. It was dedicated as the San Domenico School for Girls on April 30, 1966. May all who visit or live in this beautiful valley of Canada de Herrera - Sleepy Hollow enjoy and protect the land. Ours is indeed a special heritage, so let us preserve it for future generations.